When we returned to our hotel around 4.30 in the afternoon, I couldn’t help thinking that we weren’t done yet. We were mildly knackered from all the walking, freezing and driving, yet we wouldn’t be able to rest as much as we wanted to. Yes, because shortly after booking the Rovaniemi trip, Mum and I chose to think ahead and add to our trip something that wouldn’t entail spending too much extra time with other people from our group and that had nothing to do with the Italian tour operator we’d booked our weekend with. What I’m going to say, though, requires a brief digression. My fascination with the North began when, at the age of 10, I bought a sticker album about ‘Europe’. Each page referred to a country, and each sticker on that page portrayed the most iconic views of that country. When I found stickers from the page about Norway, I was mesmerised by its landscapes, sky, nature, and animals. When I found the sticker with a view of the northern lights, I was speechless. I was so utterly fascinated by those Norway photos that I still remember vividly what that album and those stickers looked like. So yes, that’s how it all started. While I have yet to visit Norway in winter, which I still know will happen some day, I thought I had to make the most of my few days in Lapland, as I had the priceless opportunity to be there, even though only for less than four days, in the winter season. Long story short, I booked two seats for my Mum and me on a ‘Northern lights trip by car and on foot’ with a Finnish tour operator for the evening of our first full day in Rovaniemi. The van that picked us up outside the hotel drove us (and other random people that were picked up along the way outside other hotels) to a sports shop where we were shown to a back room and given proper winter clothes to wear outdoor at night. I wouldn’t say I was ‘excited’ about the whole thing, as that would probably be the understatement of the millennium (second only to labelling Trump a promising US president elect – but then, that one remains unrivalled, or at least let’s hope it is, otherwise there really is no hope left). Let’s just say that when the guide gave me the right size of ski suit, I was ready-set-go in a bunch of seconds. Let’s goo! As soon as everybody was on board and seated, sort of gradually swallowed by their thick, warm ski suits, the bus drove out of Rovaniemi. It didn’t take long for the (already fairly modest and not at all pretentious) city lights (both Christmassy and not) to be replaced by pitch black literally everywhere. I remember looking out of the window and seeing nothing but the occasional (and increasingly rare) lamp from the equally occasional (and increasingly rare) cabin among the trees.  Apart from those, only the road, snow and darkness. The bus dropped us outside a wooden cabin that was more like a proper mountain hut. 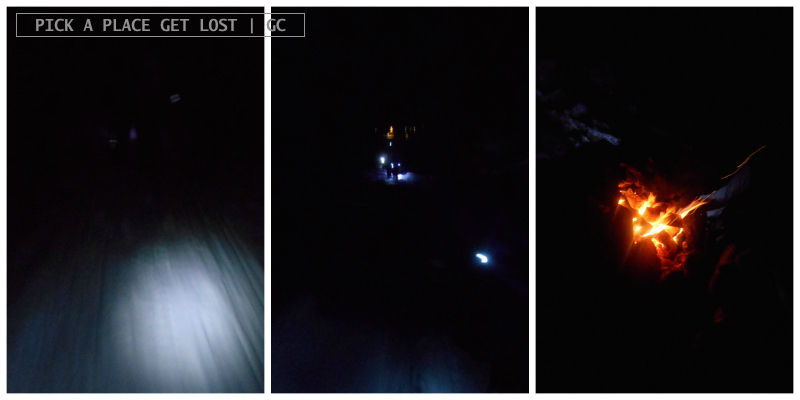 After each of us had received a small torch, we all headed toward the nearest hill, where a narrow, snowy trail went uphill toward… well, toward nothing, apparently, as the total lack of artificial light made it impossible to guess if there was anything at all in the area. I felt like I was in one of the most secluded spots I’d ever been. Which I definitely wasn’t: from the top of the hill I could still see Rovaniemi in the distance. The area, though, was exceptionally silent and quiet, so much so that you almost felt like an intruder, a gatecrasher into a house where your visit was abrupt and unexpected. The trail soon grew flat and straight, and led us to a white snowy clearing that the guides deemed sufficiently dark and isolated to provide a promising observation point. ‘Now we wait, I guess’, I said to myself, while a couple of people from our group adjusted their super cameras on their super tripods. I knew that, should the lights have appeared, I wouldn’t have been able to photograph them, as my camera was (and is, since the one I’m using now is the same I had in Lapland) reasonably crappy. Nor did I have any tripod, so really there was no way that I could photograph the lights and actually see anything at all in it. I didn’t care, though. Just being there was too unbelievable to be true. Everybody was silently staring ahead, rapidly shifting their eyes toward the right, then toward the left, then, again, straight ahead, incessantly monitoring the horizon. I don’t remember what time it was when I glimpsed the dim light in the sky. At first it was almost imperceptible, like the faintest shade of light in a corner of twilight sky. Then it grew more intense, and the flat line of the horizon was suddenly covered by the arms of those standing at the forefront of the group, pointing their fingers toward the sky. I think I grabbed my Mum’s arm. Ohmygod the northern lights. Few times in my life I’ve had such instant goose bumps, of that I’m sure. The greenish strip of light drew an arch across the furthest portion of the sky. It resembled a drape artfully spread out to cover a black wall. 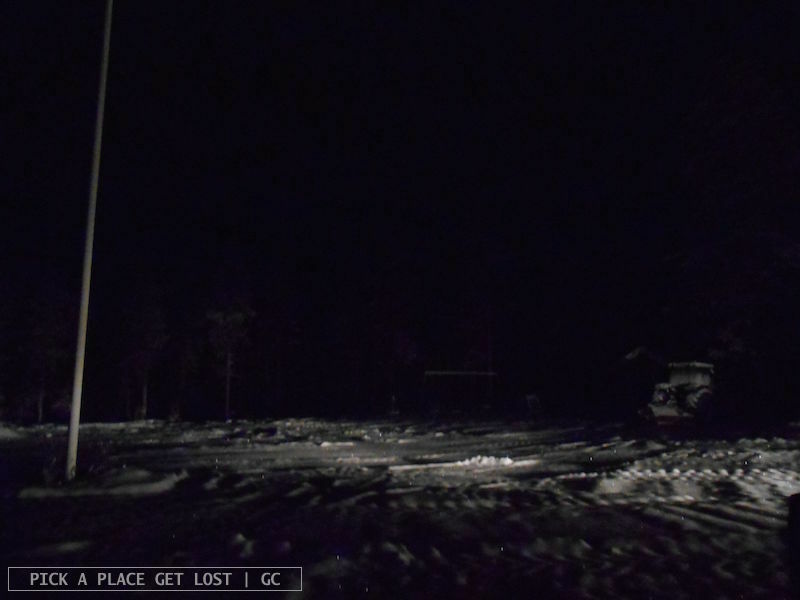 To a regular northern lights hunter the aurora we saw that night must have looked like something minor, like the least you could get from a night of geomagnetic activity around the Finnish Polar Circle. To me it was one of the most unforgettable views I’m ever to experience in my entire life. It only lasted for about 20-30 minutes, maybe a bit longer. One second the green arch was floating in the sky, the next it grew fainter. Then it grew brighter again, and it almost looked like there were two waves instead of one, but suddenly there was only one, and this time was for real. When the second wave had also disappeared, those that had stayed outdoor for the whole time (including my Mum and me) headed toward the large Sami tent located a few metres from our standing point. A large bonfire was noisily crackling, while people sitting all around it happily ate and drank and chatted, all at the same time. It was amazing. Despite the frostbites in my hands and feet, those ten minutes in the tent were literally and metaphorically heartwarming. The journey back went fast and smooth, and before realisation that we’d just seen the northern lights dawned on us, we were already returning our winter clothes at the shop. We were all very tired and in dire need of a good nights’ sleep. Mostly, though, we were still a bit overwhelmed, largely mesmerised by the beauty of things. But really, can you blame us. I apologise for the poor (euphemism) quality of the photos in this post. These are the only ones I have from that night, and even though they’re rather poor (to say the least), I chose to use them because I wanted to give a proper idea of how utterly, amazingly dark it was, how that made us feel detached from any sort of inhabited centre, and how it was all unforgettably unique. This entry was posted in Finland, Lapland 2013 and tagged lapland, northern lights, northern lights trip by Giorgia. Bookmark the permalink.